This book by Johannes Schütz is based on his doctoral dissertation from the Faculty of Philosophy at the Georg-August Universität Göttingen from 2013. Schütz' study aims to show how knowledge was obtained, stored and transmitted in the Middle Ages. As being part of the Graduiertenkolleg "Expertenkulturen des 12. bis 16. Jahrhunderts", he focuses on such an 'expert culture' of the period, i.e. the Dominican Order, or more correctly in contemporary terms: the Order of Preachers. The 'Friars Preachers', as its members were called, constituted a monastic order of the mendicant type, founded in 1216, with the aim to encounter heresy and promote true Christian understanding, as defined by the theological authorities of the Church, within the rest of society. To achieve this goal, the Dominicans became a mobile corps of elite preachers, well-trained in both theology and communication. From its initial centres of southern France and northern Italy, the Dominican Order soon spread to all over Latin Europe, including Scandinavia, where the first convent was established in 1222, and from 1228 at the latest, the three Scandinavian kingdoms of Denmark, Norway and Sweden constituted one province, 'Dacia', within the orderly administration. The province existed until the late 1530s, when all Dominican convents in Scandinavia had been dissolved due to the Lutheran Reformation. Johannes Schütz demonstrates from the beginning that he is solidly founded in the history of the Dominican Order in medieval Scandinavia, and all the scholarly questions related to it with relevance to his chosen study area. During his preparing work, he has taken study periods at the universities of Bergen, Norway, and Southern Denmark, which have helped him getting acquainted with all relevant Scandinavian studies on the matter, although these can sometimes be difficult to find in literature. In chapter 1, Schütz' basis in the research centre of Expertenkulturen shines through in a concise and clarifying explanation of the role of religious experts in society. 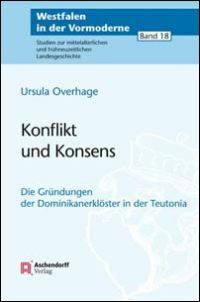 He defines four intermediate aims for his study: why and how did the papal Curia support the Dominican Order getting settled in, for instance, Scandinavia; how was knowledge obtained and transmitted within the order; how was the Dominican sermon constructed; and how did the friars through their sermons try to improve the religious behaviour of lay people in Scandinavia? Scandinavia is chosen for the study because the Dominican Order is likely to have left a clear impact on the early Christian formation in this late Christianized region of Europe. For these reasons, the author has chosen to focus on the period from c.1220 to c.1350, which makes good sense, but perhaps could have been mentioned in the subtitle of the book for the benefit of potential readers 'browsing' through the extensive catalogue of medievalist literature. In chapter 2 it is described how both the papacy and the local bishops helped the Dominican Order to establish all around Europe, as the friars filled out a need for improved pastoral caretaking, which not least the Fourth Lateran Council had made explicit. To stress this point, Schütz may exaggerate earlier Dominican and Scandinavian scholarship's tendency to take the account of the order's arrival in Scandinavia (Historia Ordinis Praedicatorum in Dania) for face value, including St. Dominic's possible journey to Denmark and his personal involvement in Dacia, but he is correct in pointing to the chronicle's hagiographical character, which has not really been analyzed so far. Chapter 3 describes the Dominican 'accumulation of knowledge and education of experts', mainly the educational system of the order. Herein Schütz positions himself in line with the more recent trend of the school by focusing on the basic conventual schools, instead of earlier scholarship's tendency to explore the higher levels of education (i.e. studia generalia and -particularia), which probably only about 10% of the friars ever frequented. In his otherwise very fine and exhaustive description, Schütz almost completely ignores the question of whether the Dominican convent schools were open to secular clergy and lay people (only mentioned in a footnote (81, n. 255)), which otherwise could have seemed both interesting and highly relevant for his focus on the friars' transmission of knowledge to society. He does, on the other hand, give an excellent and long-needed renewed focus on the Rotulus pugillaris by the Dacian provincial, Fr. Augustinus de Dacia, which became a standard text book in the training of young friars in Dacia. Chapter 4 on the transmission of Dominican knowledge takes off in an extant sermon collection by a Danish Dominican, Fr. Mathias Ripensis, from the early 14th century. These sermons have only been used by scholarship in a very limited extent until now, which makes Schütz' exhaustive presentation and analysis a new genuine landmark in Scandinavian sermon studies. His study offers a good insight to both what Fr. Mathias - and all his Dominican brethren alike - wanted to teach the lay public, and how he went about doing it, and especially the combined usage of Mathias' sermons with Augustin's Rotulus is exemplary. It is, however, a shame that Johannes Schütz has decided not to include an extant collection of exempla, which to a large part can be ascribed to the Dominican bishop of Skálholt in Iceland, Fr. Jon Haldórsson, also from the early 14th century and thereby approximately contemporary with Mathias, which in my opinion only would have added positively to the observations made from the latter. 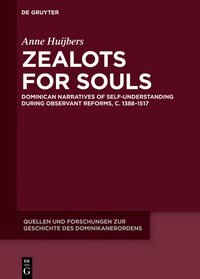 In the fifth and final chapter of the book, Johannes Schütz takes up Dominican 'knowledge control' and 'lay discipline regulation', mainly in the form of the friars' role as confessors and inquisitors. Especially the issues of hearing confession and imposing penance were theologically close connected to the task of preaching, and therefore also become an obvious topic for Schütz to conclude with, but here he runs into a problem that inevitably meets anyone looking for anything but purely normative sources on the practice of confession in the Middle Ages: practically nothing was written down. The consequence is that the study's consecutive aim to use Dacian-Dominican cases to exemplify the treated questions on the matter of confession comes somewhat short, as it is limited to a third of a page (230) regarding Mathias' words on the importance of recognizing the priest's sacramental authority; here, one of Jon Haldórsson's exempla at least could have helped filling out a whole page. These minor comments should, however, not dim the overall impression of an exceptionally impressive analysis, both in terms of the quantitative studies performed and the quality of the outcome. Hüter der Wirklichkeit. 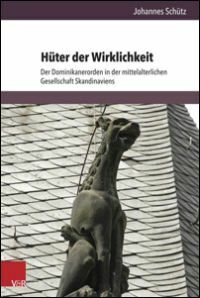 Der Dominikanerorden in der mittelalterlichen Gesellschaft Skandinaviens will become a standard work on the intellectual, organizational and pastoral side of the Dominican Order in medieval Scandinavia for many years to come. It does, nonetheless, deserve attention beyond the perhaps limited sphere of people interested in Dominicans in medieval Scandinavia, as it - due to the order's general construction and papal-given authority - contributes greatly to our overall understanding of Dominican knowledge administration in general as well as the pastoral considerations of the Latin Church in 13th- and 14th-century Europe.